Kimi Raikkonen is notorious for his matter-of-fact manner in press conferences, and he was at it again ahead of the Singapore Grand Prix. The Finnish driver has agreed to join Sauber for the next two seasons, after Ferrari decided to replace him with Sauber’s Charles Leclerc. Raikkonen, who was the last driver to win a world championship with Ferrari, back in 2007, made his debut with Sauber in 2001. However, there’s no doubt that the move is a step down for the 38-year-old, and thus he was asked why he had made this particular decision during the first press conferences of the weekend in Singapore. Charles Leclerc will join Ferrari next year after Kimi Raikkonen was dropped by the Italian team. Raikkonen, who won the world championship in his first spell at Ferrari in 2007, has signed a two-year deal with Sauber, the Swiss team with whom he began his Formula One career nearly two decades ago. Raikkonen, the last driver to win a world title for Ferrari, will be 41 at the conclusion of his new Sauber contract. Monegasque Leclerc, 20, has impressed in his first season with Sauber, and the Ferrari junior driver will now switch seats with Raikkonen to team up with Sebastian Vettel next season. Vettel, 30 points adrift of Lewis Hamilton in the championship ahead of the Singapore Grand Prix on Sunday, has been the number one at Ferrari since his move from Red Bull in 2015. But the German’s status is set to be challenged by Leclerc with Ferrari holding high hopes for the rookie. Indeed, it is highly unusual for the Scuderia to hire such an inexperienced, and relatively untested, driver. 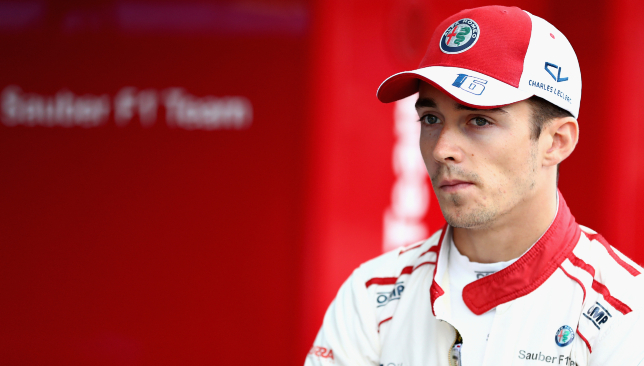 Leclerc, who has scored 13 points from 14 rounds this season, paid tribute to his father, Herve, who died last year following a long illness, and Jules Bianchi following Ferrari’s announcement. Bianchi died three years ago from the devastating head injuries he sustained in a crash at the 2014 Japanese Grand Prix. “Dreams do come true,” Leclerc said in a post on social media. “I will be eternally grateful to Ferrari for the opportunity given. “To [manager] Nicolas Todt for supporting me since 2011, to my family [and] to a person that is not part of this world anymore but to whom I owe everything of what is happening to me, Papa. 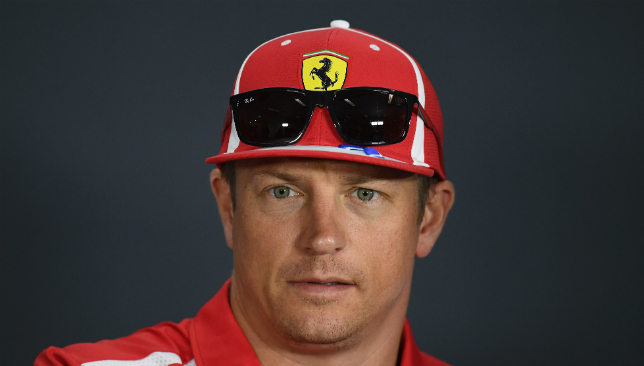 Ferrari have made the move to stand down Raikkonen despite an online petition, which had urged the Italian team to retain him, attracting nearly 90,000 signatures. The Finn is a popular figure among fans, but he has failed to win a race in more than five years, and since he re-joined Ferrari for a second time in 2014. His last victory was for Lotus at the 2013 Australian Grand Prix. Ironically, Raikkonen’s impending departure comes amid some of his better performances in recent seasons. He put his Ferrari on pole position at the Italian Grand Prix earlier this month, and was on course to win in Monza before Hamilton passed him with eight laps remaining. McLaren had been monitoring Raikkonen, but the British team announced last week that they are promoting their English teenager reserve driver, Lando Norris for 2019. “Feels extremely good to go back to where it all began,” Raikkonen wrote in a post to Instagram. Maurizio Arrivabene, the Ferrari team principal, added: “Kimi’s contribution to the team, both as a driver and on account of his human qualities, has been fundamental. 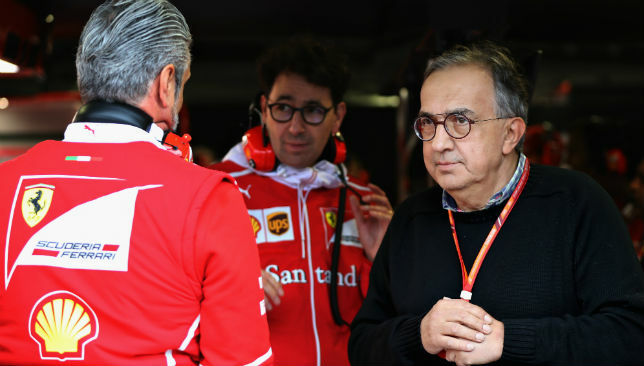 Former Ferrari team principal Jean Todt has hailed Sergio Marchionne as a “visionary leader” following his death on Wednesday. Marchionne, who was stood down as Ferrari chairman only on Saturday, died in a Zurich hospital, aged 66, following complications from shoulder surgery. He helped to re-establish Ferrari as a Formula One championship contender after he took over from Luca Di Montezemolo in September 2014. 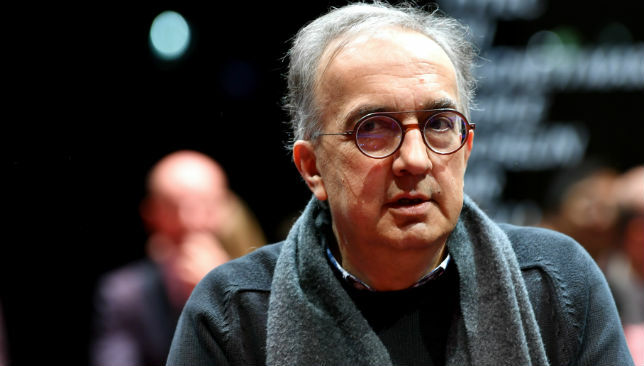 Marchionne was also an outspoken and influential voice away from the track, and threatened to pull Ferrari out of the sport. “It is with great sadness that I learned that Sergio Marchionne tragically and unexpectedly passed away,” Todt said. “Sergio achieved a colossal amount for the automotive industry and motor sport worldwide. Ferrari are eight points behind Mercedes in this season’s constructors’ championship, while their lead driver Sebastian Vettel is second to Lewis Hamilton in the drivers’ standings. The famous Italian team are expected to pay tribute to Marchionne at this week’s Hungarian Grand Prix. F1 chairman Chase Carey added: “We are deeply saddened by the passing of Sergio Marchionne. He was a great leader of not just Formula One and the automobile world, but the business world overall. Marchionne formed a strong allegiance with Mercedes following concerns over Liberty Media’s vision for the sport beyond 2020.